Supercharger stations are conveniently located near desirable amenities like restaurants, shops and WiFi hot spots. Each station contains multiple Superchargers to get you back on the road quickly. Below are additional program details which apply to Tesla vehicles under the Supercharger program. When billing per minute, there are two tiers to account for changes in charging speeds, called “tier 1” and “tier 2”. Tier 1 applies while cars are charging at or below 60 kW and tier 2 applies while cars are charging above 60 kW. Tier 1 is half the cost of tier 2. Tier 1 also applies anytime your vehicle is sharing Supercharger power with another car. Average pricing information is provided below and specific pricing for each Supercharger location is shown in the navigation application on the vehicle touchscreen. Certain Model S and X vehicles ordered before November 2, 2018 receive 400 kWh (~1,600 km) of Supercharger credits annually. Standard Supercharger fees apply after credits are used. Supercharging is simple and convenient—just plug in and charge up. Supercharging history is automatically populated in your Tesla Account showing the credits used or, if applicable, the amount billed. Tesla is committed to ensuring that Supercharger will never be a profit center. Where can I find current and existing Supercharger stations? You can find existing (and upcoming) Supercharger stations here. To identify the station nearest you, visit our interactive map. How do I use the Supercharger network? Simply park and plug in your vehicle using the connector at the Supercharger post. Once plugged in, the vehicle's charge port LED will flash green to indicate that charging has started. You can monitor charging progress on your instrument panel in your Tesla App. How should I plan a trip using Superchargers? Your built-in Trip Planner will automatically route you through Superchargers on the way to your destination. In addition, all Supercharger locations are displayed in your car's Navigation to assist with route planning. I don’t have any free, annual Tesla credits. How does Supercharging billing work? After completing your charge, you will automatically be billed to the payment method on file in your Tesla Account. No action is required on your end with a payment method saved. You can review the details of each session in your account. Supercharger history and downloadable invoices may also be viewed online. For more details, see our Payment Terms for Services. How do I add a new payment method for charging, or change an existing one? You can add a credit card through your Tesla Account. Existing payment methods can also be edited or removed in your Tesla Account. Idle fees apply to any car occupying a Supercharger if the station is at least 50% full and once the charge session is complete. If the car is moved within 5 minutes of the charge session completion, the fee is waived. To be clear, this is purely about increasing customer happiness and we hope to never make any money from it. Learn more about idle fees. How do I know the speed of the Supercharger before I plug in? Your car’s Navigation will display the maximum power output of each Supercharger location. You can also see this information on our interactive Supercharger map. Do I need to install charging at home if there are Superchargers near me? Charging where you park is one of the best ways to live with a Tesla and there is no need to travel to get a full charge. We recommend installing a Wall Connector at home or work whenever possible. Superchargers are ideal while on a road trip, or while visiting from out of town, or while home charging is being established. Where exactly is the Supercharger station on the property? Supercharger stations are GPS located in your vehicle's touchscreen navigation. Your vehicle's Navigation will route to the nearest entrance and you can zoom in on the map to find the exact location of the station. If additional instructions are needed, they can be displayed when you tap on the station’s red lightning bolt icon. How does Tesla decide where to put Supercharger stations? Tesla Superchargers enable long distance travel and convenient charging in urban areas. We use precise energy modeling and locate Superchargers near amenities, such as hotels, restaurants and shopping areas. Attract Tesla drivers to your property by hosting a Supercharger station. You may submit your property suggestion here. Almost all Supercharger stations are open for charging 24 hours a day. However, nearby amenities are subject to business hours. I am not Supercharging as quickly as I expected. What could be happening? Your vehicle and the Superchargers communicate to select the appropriate charging rate for your car. Supercharging rate may vary due to battery charge level, current use of the Supercharger station and extreme climate conditions. Your vehicle charges faster when the battery is at a lower state of charge and charging slows down as it fills up. Depending on your destination, charging to completely full is often not necessary. Does Supercharging affect my battery? The peak-charging rate of the battery may decrease slightly after a large number of high-rate charging sessions, such as those at Superchargers. To ensure maximum driving range and battery safety, the battery charge rate is decreased when the battery is too cold, when it is nearly full or when its condition changes with usage and age. These changes in the condition of the battery may increase total Supercharger time by a few minutes over time. How can I maximize power and reduce charge time at a Supercharger? Each charge post is labeled with a number and letter, either A or B (e.g. 1A, 1B, 2A, 2B). When possible, select a charge post with a unique number that is not currently connected to a vehicle. When a unique number isn’t available, the Supercharger cabinet has technology to share available power between charge posts A and B. To maximize power, park at a Supercharger shared with a car that is nearly done charging. Certain Model S and X vehicles ordered before November 2, 2018 include annual Supercharger credits of 400kWh, or roughly 1,600 km. For usage above the complimentary annual credits, a small fee applies to Supercharge. Credits replenish automatically on the anniversary of your delivery or known ownership transfer. Unused credits do not rollover to the next year and you can view your vehicle’s Supercharger credit status by logging into your Tesla Account. Can I have separate payment methods for different cars on my account? Not yet, but this functionality will be available in the coming months. Please note that saving a payment method on file applies to all cars on the Tesla Account. Why do some locations bill per kWh and some per minute? Tesla believes that owners should pay for energy delivered to the vehicle and therefore we price the service on a per kilowatt-hour (kWh) basis for the global network. In some regions, regulations and requirements make it difficult for companies that are not utilities to sell electricity for vehicle charging per kWh. In these places, we offer the Supercharger service at a per minute price, with two tiers to account for the dynamic charge rate. How do I know if my car has surpassed the free Supercharging credits? To check your vehicle’s Supercharger credit status, please view your Tesla Account or contact Customer Support. What do I do if I have an issue while Supercharging? How long can I park at a Supercharger? Once your vehicle has reached the range necessary to get to your next destination, please move your vehicle so other drivers can charge. Vehicles parked at a Supercharger beyond an active charge session will be subject to idle fees. Learn more about idle fees. As a commercial driver or operator, can I utilize the public Supercharger network? With the introduction of our Supercharger Fair Use Policy, commercial vehicles may not use the public Supercharger network. If you are an interested commercial operator, please reach out to us so we can help recommend charging solutions that meet your business’ needs. Keeping the Supercharger network available for non- commercial users will have a lasting positive impact on the Supercharger network and Tesla customers as a whole. A non-Tesla car is parked in a Supercharger stall, what should I do? Most Supercharger stalls are reserved for Tesla charging but some stalls allow general parking. Please be aware of stall signage and if a non-Tesla vehicle is blocking a Supercharger stall for greater than the posted time limits, please notify us. Is it okay to Supercharge in the rain and snow? Tesla vehicles are designed to charge in inclement weather including rain and snow. Charging times may vary in extreme climate conditions. What other charging options are available to me? In addition to the Supercharger and Destination Charging network, visit Plugshare for a map of supplementary public charging locations. When will V3 Superchargers be available in my area? 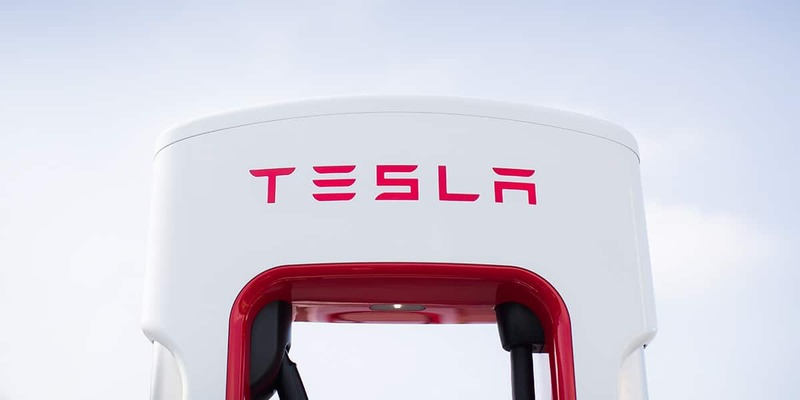 Tesla will break ground on the first permanently public V3 Supercharger site in North America in April and continue to ramp V3 installations through 2019 globally. What is the peak charge rate for V3 Superchargers? V3 Superchargers are capable of delivering peak charge rates up to 250kW. Will all Tesla vehicles be able to receive a 250kW charge? All Tesla models will benefit from the elimination of power sharing in V3s architecture. The peak rate each vehicle achieves will vary with size and age of battery pack, state of charge and ambient temperature conditions. How long will it take to reach 80% state of charge at V3 Superchargers? We expect average charge times to be cut in half when the benefits of On-Route Battery Warmup are combined with V3 Supercharger power capability. The impact to individual owners will vary based on multiple factors, such as size and condition of battery pack. Will current Supercharging billing change at V3 Supercharger stations? No. Supercharging billing will remain unchanged at this time. Learn more about idle fee pricing here.